Mark Matthews, architect by trade, is laid off from his entry level job at a Boston firm. He performs carpentry work in the city, not knowing if he will find gainful employment in his field. Mark's good friend, Dave, who prepares taxes for the Abbey of Philip and James in Philadelphia, informs Mark they have an opening for the Director of the Physical Plant. Mark considers this to be a glorified handyman and carpenter position, yet he accepts and enjoys the men he's in contact with at PB&J, his fond term for the monastery. He rents a cozy home in a family neighborhood and is content, but would love to have a wife and children. Anne, Mark's landlady who lives a few houses down from him, unsettles him with her standoffish demeanor. He learns her husband left when her son Jeremiah was a toddler and of Jeremiah's death from an accident three years prior at age 13, giving him understanding of her bitterness. Anne's car breaks down one day, and she phones Mark to pick her up from work. He willingly complies, and on their way home realizes he left his cell at the Abbey. She agrees unwillingly to return with him, and she waits in the hall while she searches for his phone. A group of monks advance to the chapel across from where she's sitting. Anne is approached by Father Paul, the Abbot. She is unaware of how she should act, though she was raised in the Catholic Church. Her father brought her to the monastery many times as a child, yet she no longer believes in the faith. O Mary, Mother of Sorrows, pray for us!" This sentiment helps to alleviate the pain of Anne's bereavement, helping her realize she is not alone in her sorrow. Her parents were devout Catholics, and her father handled the monk's finances when Anne was young. He often took her with him when he visited, and they would spend time with Father Edward, who is still in residence. Anne considered him old when she was a child and thought he passed long ago, though now elderly, he recognizes her and is pleased by her presence. Anne struggles with her grief and lack of faith, and Mark also strives to find his rightful place in life. He is ashamed to admit he considers his job beneath him, even if he is somewhat happy and wonders about his future. Father Paul is not exempt from questioning his life choices; however, he offers sage advice which can pertain to one of any faith. 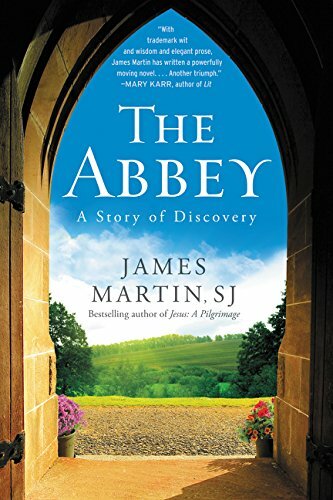 The Abbey, an insightful and uplifting novel, is not at all preachy. It's a heartwarming tale showing how ordinary, everyday folks question their purpose while offering peace and comfort.